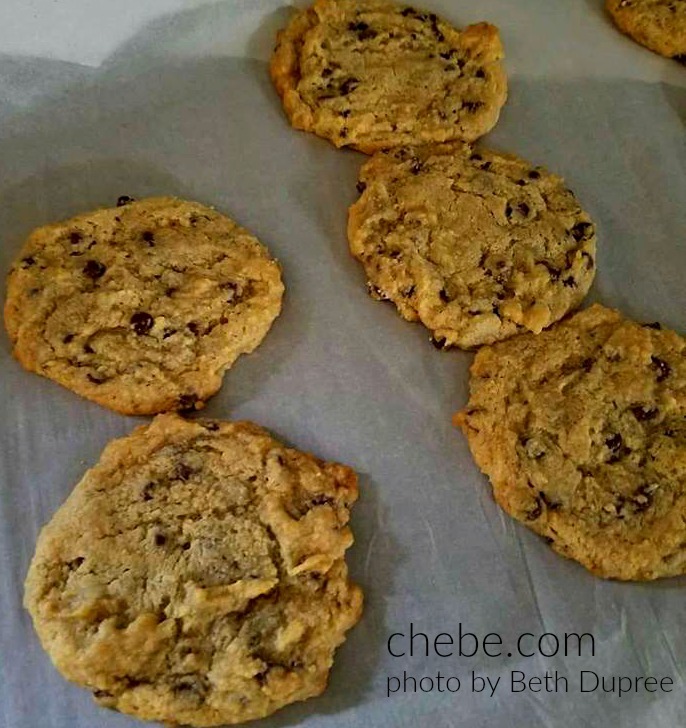 Created by a Chēbē fan, these wonderfully chewy cookies are free of: gluten (wheat, barley, rye), corn, oats, rice, potato, yeast, nuts, peanuts, eggs and dairy! (Is there anything left?) Just take a look at the ingredient list and at the simple, quick directions! Our hats are off to Beth Dupree! In a large mixing bowl, cream together the shortening and sugars. Add vanilla and drained tofu. In a separate bowl, combine the flours and baking soda. Slowly add to liquid ingredients, scraping sides of bowl to mix completely. Remove bowl from mixer and fold in the chocolate chips. Drop by tablespoon onto parchment lined baking sheet, spacing 2 inches apart. Bake 12 – 14 minutes. Let cookies sit on baking sheet 2 minutes before removing to wire rack to cool. Spectrum Butter Flavor Shortening is made from organic palm oil. Butter can also be used, but it would not be vegan. If soy sensitive, you may use 2 eggs in place of the tofu, but it would not be vegan.